As mentioned in my previous post, besides the broken LCD there was also an issue with the power supply portion of the unit and the output voltage was clamped at around 10 to 11V. The digital circuitry portion however seemed to be intact. Unfortunately since an identical LCD is virtually unobtanium, I thought I’d reverse engineer the LCD protocol so once the power supply is fixed I can fix the display by hooking up a different LCD. The LCD driver used in the BK Precision 1696 is an NJU6433F, and it uses a 4-wire serial communication protocol that is similar but not totally compatible to SPI. 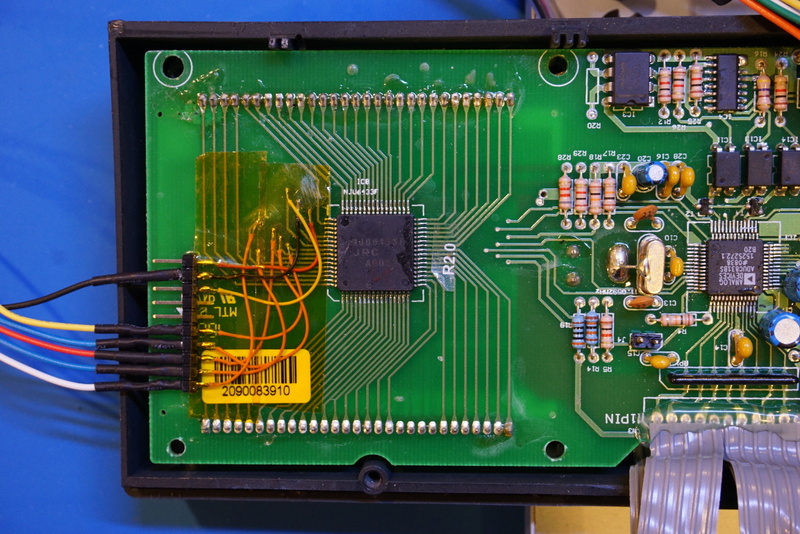 To capture the data sent to the LCD during operation, I connected pin 54 (Vss, GND), 56 (CE), 57 (SCL), 58 (DATA), 59 (MODE) and pin 60 (INH) of the chip (from top to bottom in the picture below) to a header so I can hook them up a logic analyzer. Once the logic analyzer is hooked up, I powered up the BK Precision 1696 using an isolation transformer and also connected the serial port to the computer so I could use BK Precision’s SDP software to control the power supply and obtaining the display data. This is extremely helpful as I would not otherwise be able to see what’s being displayed on the LCD at any given moment given the fact that the display was broken. By setting the protocol to SPI and mapping SPI clock to the LCD driver’s SCL pin, MOSI to the DATA pin and SPI enable to the CE pin (it uses logic high as enable), I was able to capture the data packets sent to the display driver. 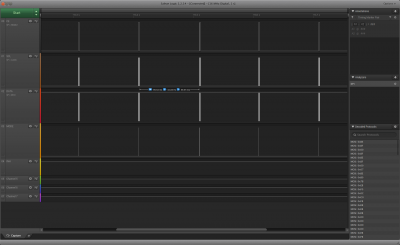 As you can see from the capture below, the data frame rate is at roughly 10 frames per second. And here is a zoomed in capture showing an entire data frame. Note that the CE signal is not what you typically expect from a SPI protocol as there are technically two frames. The first frame, which coincides with the MODE assertion, is to set the transfer mode of the NJU6433F LCD driver. 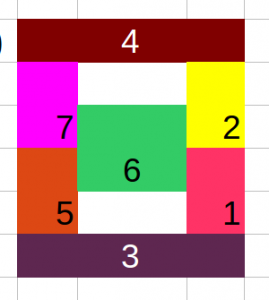 This frame contains 4 bits and is the same across all the data frames. The logic analyzer software seems to be able to happily ignore this half byte and decode the actual display data without a problem. Once again, the picture below shows the captured data zoomed in even more. 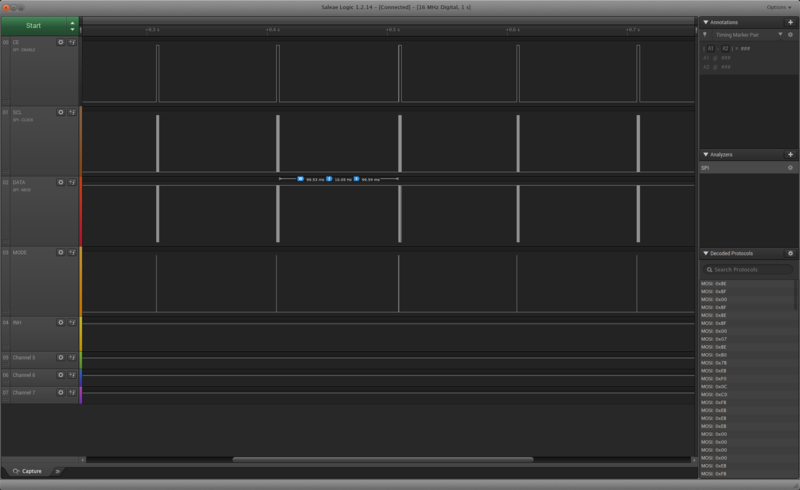 Each frame contains 25 bytes of data which are decoded into the decoded protocol pane. One of the more challenging aspect of protocol reverse engineering is to make sense of the data, and for that we will need a clear strategy. 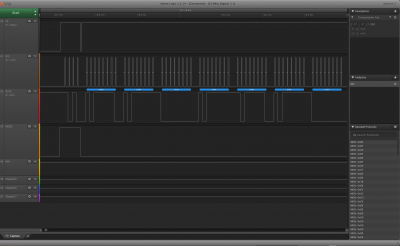 To make the reverse engineering a bit easier, I first disabled the output and using the SDP software to increment the output voltage 100mV per step and at the same time recorded the waveforms as Vset changed from 1.0V to 1.9V. While adjusting the set voltage, the set current is fixed at 1A so the only changes in the output should correspond to the set voltage and nothing else. 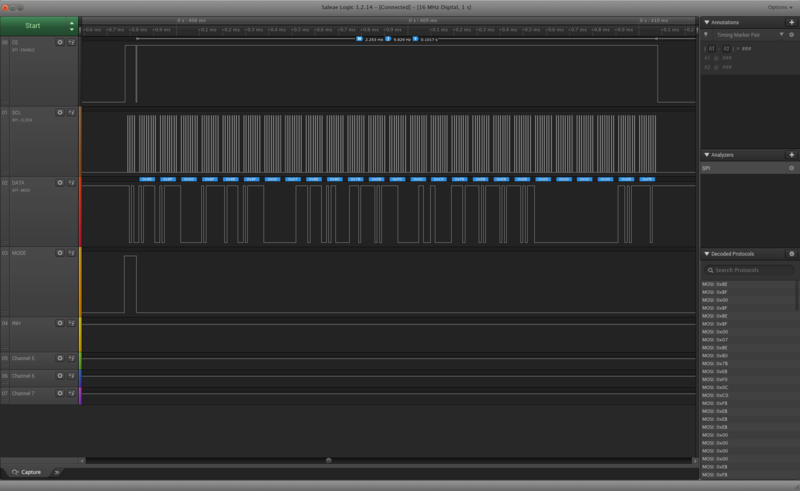 And then I incremented the set voltage 1V at a time from 2 to 10V and recorded the waveforms again. Finally I captured the waveform when the set voltage is at the maximum (20V). Once I have identified the bytes that control the set voltage, I used similar technique and identified the bytes that is responsible for setting the current. 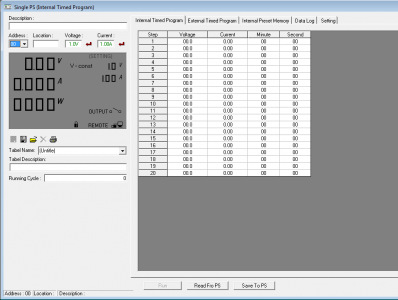 Once the bytes for controlling set voltage and set current display are identified, I went on and analyzed the bytes that are responsible for the actual output voltage and output current. Here is a screenshot showing a portion of the captured data. For those who are interested, the entire spreadsheet of the captured data can be downloaded here. The next step is to analyze the data to see if there is any pattern to it. For instance, here are the sequence of set voltage captured and the change in data is observed in three bytes (B6 B7 B8). With a little bit knowledge of how a 7 segment display works and by examining data pairs with only a single segment difference (for instance 1.0 and 1.8, 1.1 and 1.7 etc.) we can easily map out which bit corresponds to which segment (see below). Because there are eight bits, one of the bits in each byte is used for other purposes. The last bit in this group (B6 through B8) for instance is used for the decimal point. So the voltage setting 1.9V for instance corresponds to (0x00 0x07 0xDE), which translate intos 00000000 00000111 11011110 in binary and using the decoded 7 segment mapping above, we can see that this number series corresponds to the display value “1.9”. Now we have identified the three bytes for setting the output set voltage readings, let’s take a look at what controls the output current setting. Again, using the same technique by fixing the output set voltage at 1V and adjust the set current from 0.01 to 0.09, 0.1 to 0.9 and finally from 1 to 9.99. 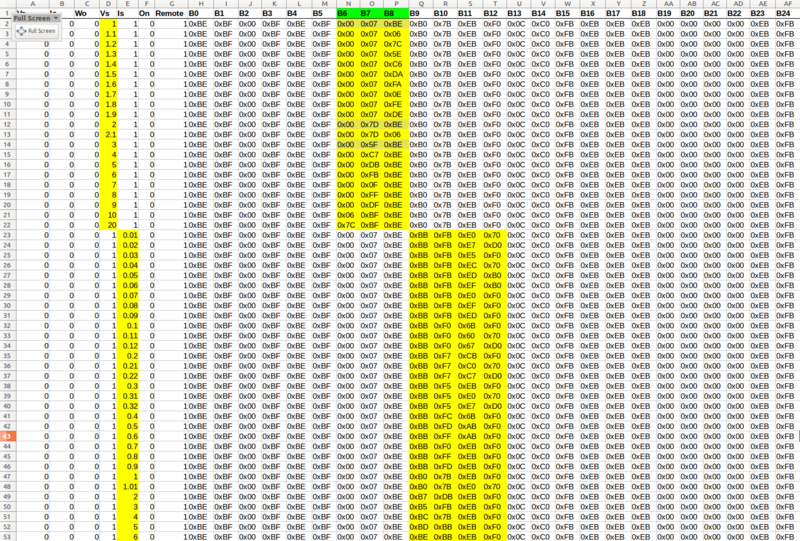 From the captured data, we can see that B9 B10 B11 B12 are responsible for the current setting display. This time the mapping is slightly different than what we saw with the set voltage mapping. By examining across all the captured data for current settings, we can see that the digit segment mappings remain the same but the start and stop location for the digit does not align with the byte boundary as we saw earlier for the voltage setting data. By rearranging the data, we can see that the first nibble of B9 and the first nibble of B10 (1011 1111) represents “0.”, with the second nibble of B9 used for something else. Then the digit “3” (01001110) is formed by the second nibble of B10 and the first nibble of B11, and the digit “2” (0111110) is formed by the second nibble of B11 and the first three bits of B12. The remain 5 bits again is used for other purposes. This gives us the current setting of 0.32A. Now we have decoded the data for driving Vset and Iset values. For the measured output voltage and current, it is a bit more tricky as the actual measured voltage and current tend to drift a bit. 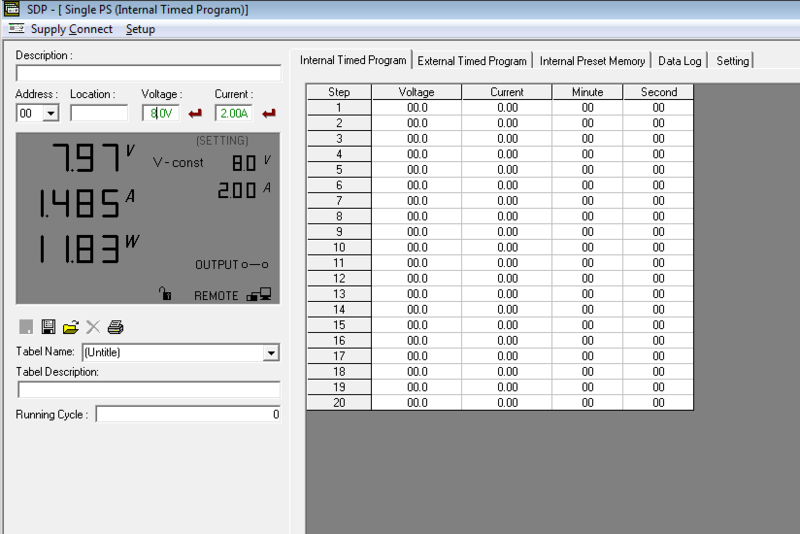 Again, I first captured the output voltage readings with no load. 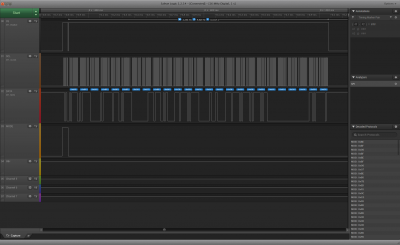 B3, B4, B5 are the bytes that determines what’s displayed for the measured voltages. B13 and B18 also changed, but they are not part of the display data for the output voltage. The measured voltage readings map to our decoded numbers exactly, 0xFF corresponds to “8.”, 0xDE corresponds to “9”, and FA corresponds to “6”, the last bit is set (FB) since we do not have a decimal after 6, that bit is probably used for something else. The last part we wanted to decode is for the measured current. B3 B4 and B5 correspond to “4.”,”9″ and “9.” and again the last bit of B5 is clearly used for something else. So these three bytes are for the output voltage. The current reading is scattered a little bit. 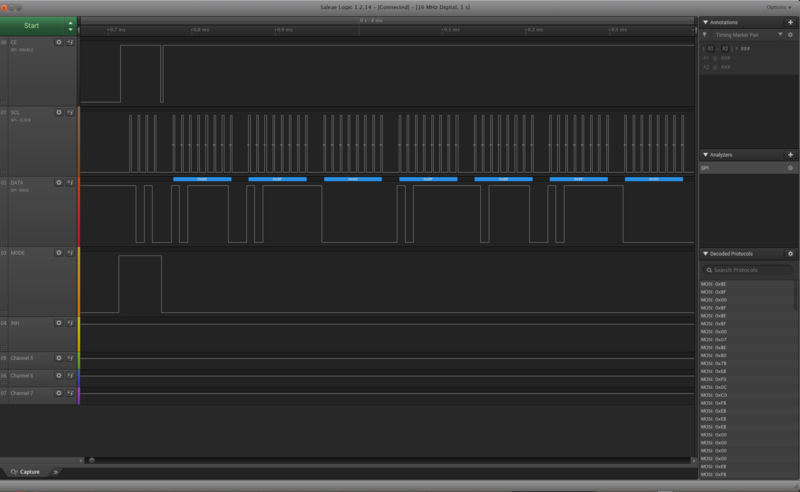 It took me quite some time to figure out how it is assembled in the bytes sent to the LCD driver. After analyzing all the relevant data captures, I figured out that the hundredth and thousandth digits are stored in B0 and B1 respectively. So for the current reading of 0.820A, B0 is 0x7C, which translates into “2” and B1 is 0xBF which translates into “0.”, again the last bit is not used for display purpose. The tenth digit “8” is stored in B23, you will need to swap the two nibbles to get the actual digit. In this case B23 is 0xEF and 0xFE is the representation for number 8. So the current reading “0.820” is captured in B0, B1 and B23. 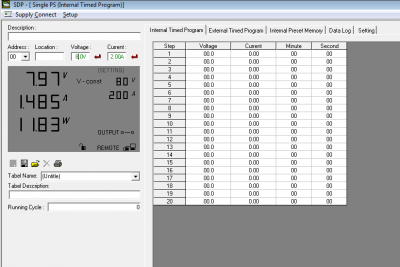 Other information such as constant current indicator or OVP settings can also be derived using the techniques described above. In the video below, I did an attempted repair moved on to decoding the protocol afterwards. I will provide more information as I make more progress on the repair. I am enjoying this series of blogs. I am also one who enjoys reverse engineering things. My first active devices came in glass and I spent the majority of my career in analog design. I learn a good deal from your blogs. Can’t wait for the upcoming. Thanks David, will let you know as I have more info. You might want to look at the constant voltage/current circuit. I have one with the same issue and after I ran the re calibration software the V-Const light is always lit making me believe that the constant voltage circuit has gone bad. Fun read! I recently wrote my own GUI for one of these, and happened across your page afterwards. Looks like you’ve already decoded everything you need, but I wanted to point you to the official documentation which corroborates and expands on what you have: https://bkprecision.desk.com/customer/portal/articles/1535310-rs232-communication-instructions-for-1696-1697-1698 or search for “bk1696 rs232” in your favorite search engine. At the end of the document is a section that describes the parsing for the “GPAL” command, which returns the internal memory that controls the LCD display. Thanks Josh! I think there is additional translation between the UART protocol in this documentation and the protocol that drives the LCD itself though.